Dads can pass on many skills to their kids such as how to play sports, change a tire and much more. Dads are also highly regarded for their ability to barbecue – a skill we have dads teach their kids every year at the Father’s Day event. Teams compete for a trophies, but the most important win is quality time spent between a dad, his family and community. 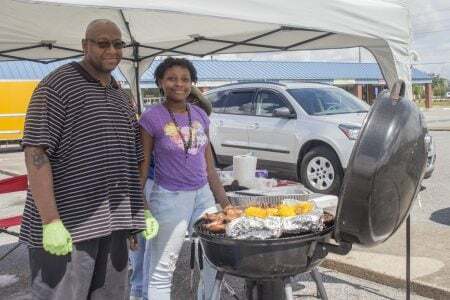 This year, ten dad/kid teams registered through Fatherhood PRIDE to fire up their grills to compete for best barbecue dishes. Over 150 neighborhood dads, moms and kids lined up to sample the grilled ribs, brisket, chicken, sides and much more. Feed the Children donated fifteen pallets of various condiments and food items totaling 30,000 pounds for everyone to take home what they desired. Magnolia Project staff provided face painting, arts & crafts and a relay race with prizes for the kids in attendance. 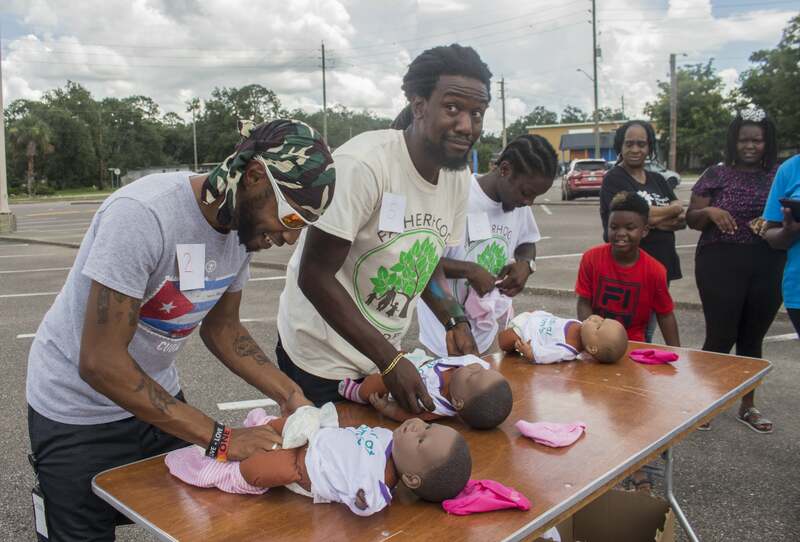 The Magnolia Project received a mini grant from the National Healthy Start Association Dads Matter Initiative to teach men childrearing skills, as studies show child health drastically improves when an involved father learns about safe sleep, proper car seat installment, breastfeeding importance and more. The week leading up to the Father’s Day event, trainings were set up to teach these materials to dads in the community. 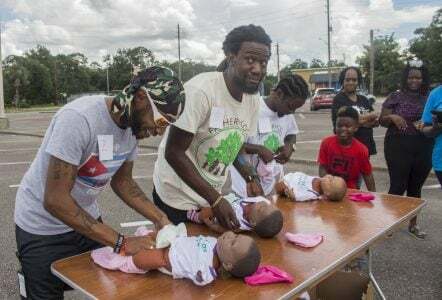 During the event, six dads volunteered to compete in the Parenting Skills Relay Race to see which dad could best get a baby clothed, with a full backpack and seated in a car seat properly. Go here for all of the photos from the event.